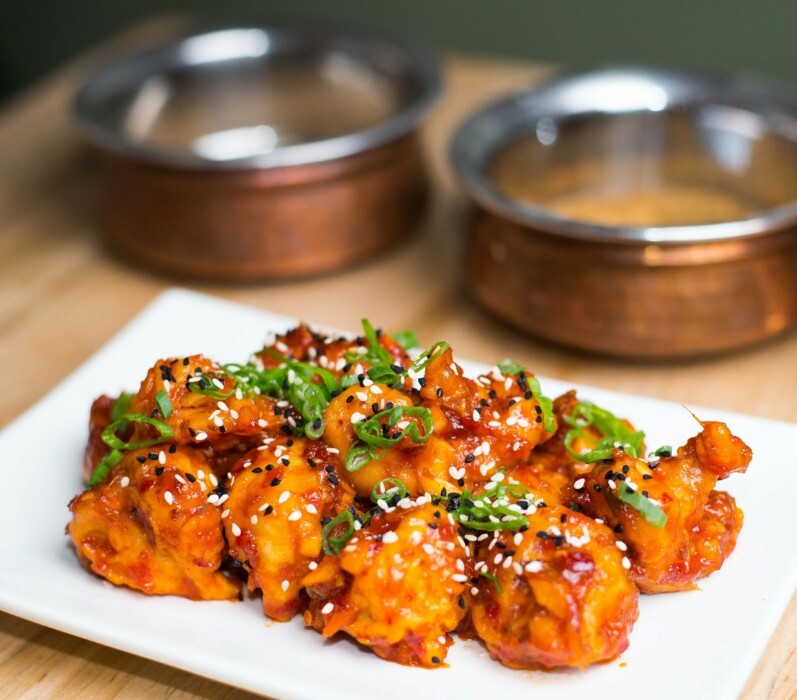 If your perfect plate of Indian food includes just chicken tikka and naan, we can’t say we blame you, but Badshah chef Charles Mani has some very different plans for you. Mani isn’t interested in validating what you already think you know about Indian food. He’s interested in flipping the industry on its head and proving that any cuisine could use a little innovation. And guess what? He knocks it out of the park. 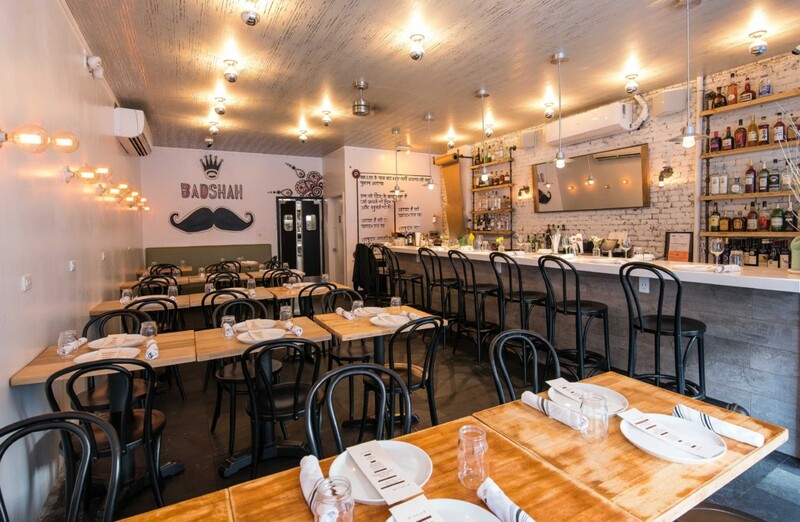 Badshah, which sits proudly in the heart of Hell’s Kitchen, is a quirky and airy space with beautiful open windows. My guest and I arrived in the thick of a hot summer evening and we couldn’t wait to take a seat. We were immediately greeted by our host, who showed us to our table in the middle of the cosy restaurant. The establishment is downright whimsical — a variety of moustaches and playing cards deck the walls and the menus while the wooden tables and exposed white brick class up the vibe. 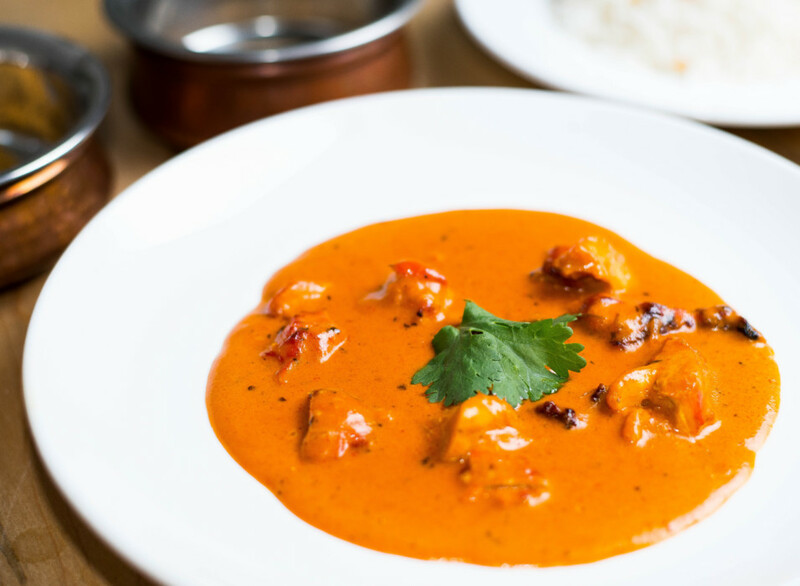 The menu has some familiar favourites like butter chicken and daal makhani, but we knew better than to assume they would be prepared as we’ve had them before (especially in the United States). What we were most excited about was to taste the dishes Mani claims he has made his own. We met Mani himself, who ran over to us smiling in an impeccably clean white uniform. We gave him free reign to send out what he thought we should try, and before we knew it he was gone to make us our first dish. In the meantime, we glanced over the drinks menu and went with our host’s suggestion, which was the Desi in the City ($14). With ingredients like Helix vodka, lime and rose water, you can’t go wrong. The cocktail was absolutely delicious and refreshing — a great start to the meal. Seemingly right after our first sip, the first of many dishes came out: Gol Goppa ($10), crispy semolina balls dipped in a tangy chutney, yogurt, tamarind and mint. The fusion of flavours exploded on our tastebuds the second we bit in, and in one bite we were already in heaven. Then came the Quinoa Tikki ($12), shaped into patties and served with a pineapple and mango ginger chutney and the Badshah Cauliflower ($12), which were Indo-Chinese fusion cauliflower florets tossed in a chili sauce. As my guest put it, “someone took crispy beef, made it vegetarian and made it awesome.” To round out the appetizer tasting, Mani brought over the Southern Style Mussels ($13) with a nicely-spiced accompanying broth. When it came to mains, we weren’t too sure how much we would finish. Mani didn’t care, and rightfully so. He brought us a thali of multiple curries including daal makhani, chargrilled salmon and butter chicken with accompanying rice, naan and chutneys. We were able to wash down our entrees with new drinks. My guest got the Sassy Lassi ($14), made with homemade mango lassi and coconut rum, while Mani made me an old fashioned, which isn’t even on the menu. Badshah isn’t just another Indian restaurant. If anything, it’s a true trend-setter that sets the bar way high for modern Indian fare. It stands out brightly against rowdy, dirty Hell’s Kitchen in a way that only proves that there is nothing, and never will be nothing, quite like Badshah.